Adjustable to fine tune the stance of your truck. Does NOT fit long wheel base models. 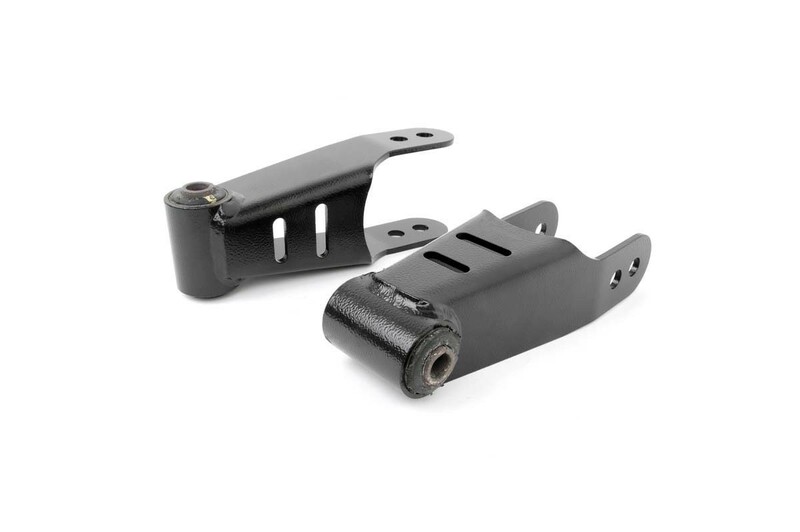 97-03 Ford models lower between 1-inch and 2-inch drop. 88-98 GM models lower between 1.5-inch and 2-inch drop. 73-87 GM models lower between 2-inch and 2.5-inch drop.